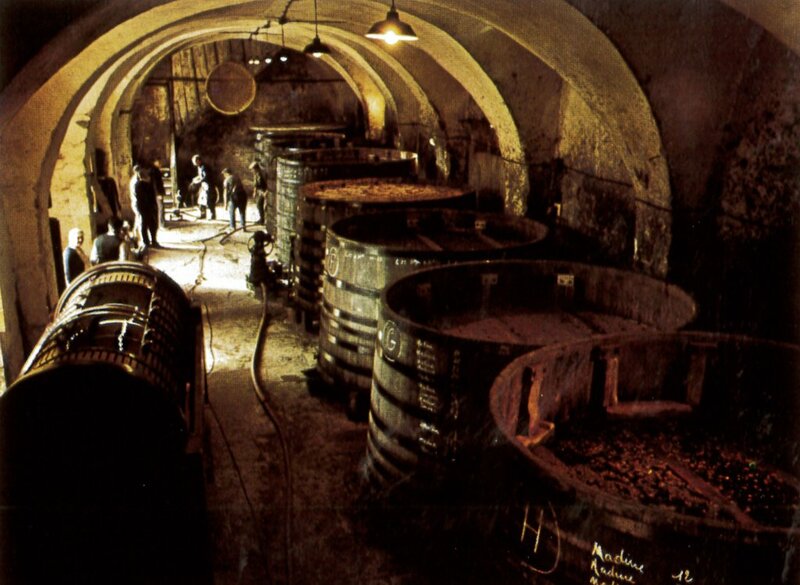 For almost 300 years, Clos Marey-Monge had been passed from one prestigious wine family to another. But with the Laplanche family, the vineyard became even more important: it was the muse that inspired visionary ideas about the human condition. 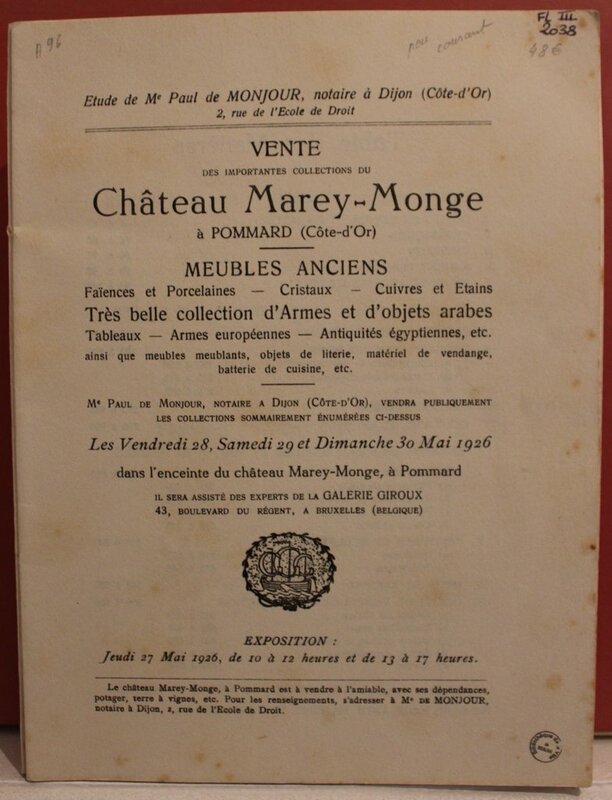 In May 1926, Robert Detourbet hosted an auction for the contents of Château Micault, then known, confusingly, as Château Marey-Monge. The sale put on display much of the Marey-Monge family’s ancient belongings. From Guillaume-Stanislas’ multitude of military weapons and armaments, acquired while stationed in Algeria and North Africa, to Egyptian antiquities, porcelain tableware and crystal chandeliers. Six months after the auction, in November 1926, notable Burgundian and military man George d’Epinay, purchased the now-empty Château Micault. 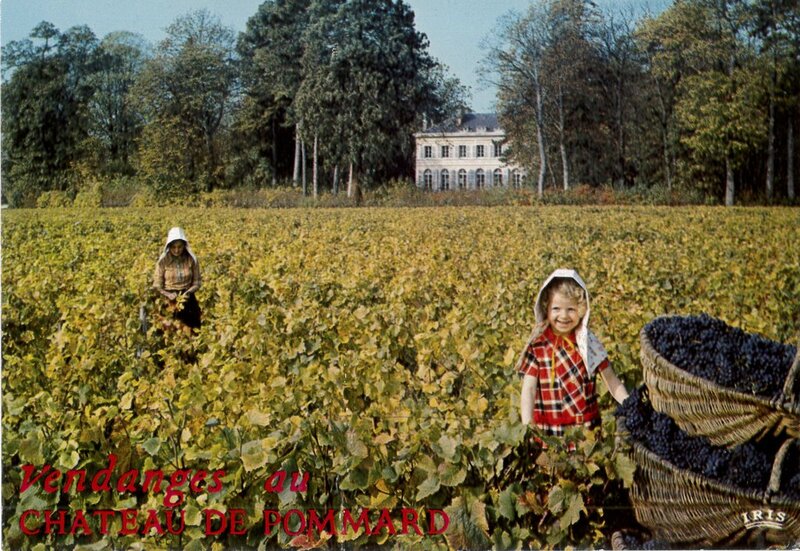 The Pommard wine estate had once again transitioned from one noble French family to another – the fourth in three centuries. For ten years, George d’Epinay and his young family (including his two sons) resided in Château Micault. Widower Édith Marey-Monge, whose husband Hérve de Blic had died in 1924, lived 200 footsteps away in Château Marey-Monge, with her unmarried daughter, Aleth. 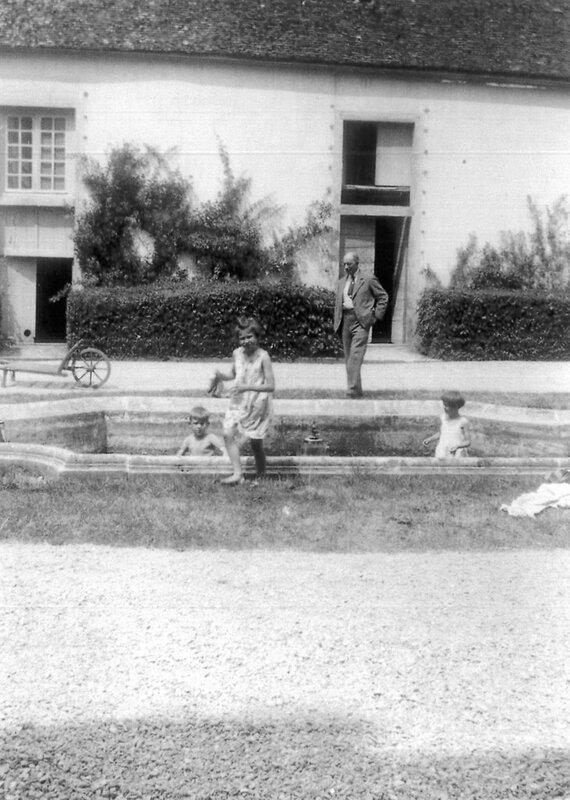 In 1936, Emmanuel de Blic – the son of Hérve de Blic and Édith Marey-Monge – and last surviving child of the Marey-Monge dynasty in Pommard, had grown tired of traveling between his family’s long-standing, and beloved, patrimonal castle in Échalot and Pommard, and intended to sell his parent’s childhood home, Château Marey-Monge. For the duration of most of the year, Emmanuel resided full-time at the de Blic’s Échalot estate. Phillipe de Blic, surviving heir to the de Blic family, lives there today with his family. After Édith Marey-Monge passed away in 1935, Emmanuel put his mother’s home on the market, effectively ending the 150-year reign of the Marey-Monge dynasty in Pommard. Hearing news of the sale of Château Marey-Monge, local winemaker Louis Laplanche and his wife, Albertine (both from esteemed Burgundy vintner families) leapt at the chance to purchase such a cherished, and historic, winemaking location. In March 1936, Louis acquired all 19 hectares, 35 ares and two square meters of the Pommard estate, of which 17 hectares, 54 ares and 80 square meters comprised the total surface area of Clos Marey-Monge. 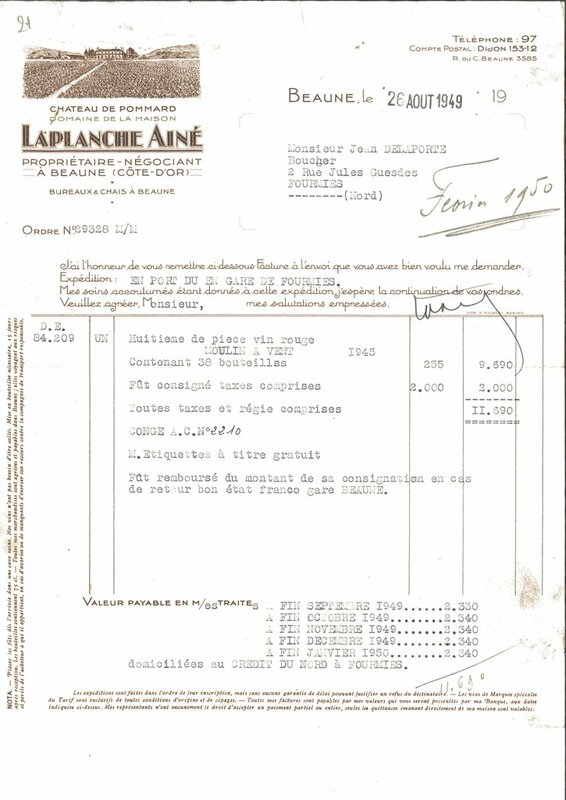 As part of the sale, Louis Laplanche owned everything. Except Château Micault. A reality that would frustrate the Laplanche family for more than three decades later. 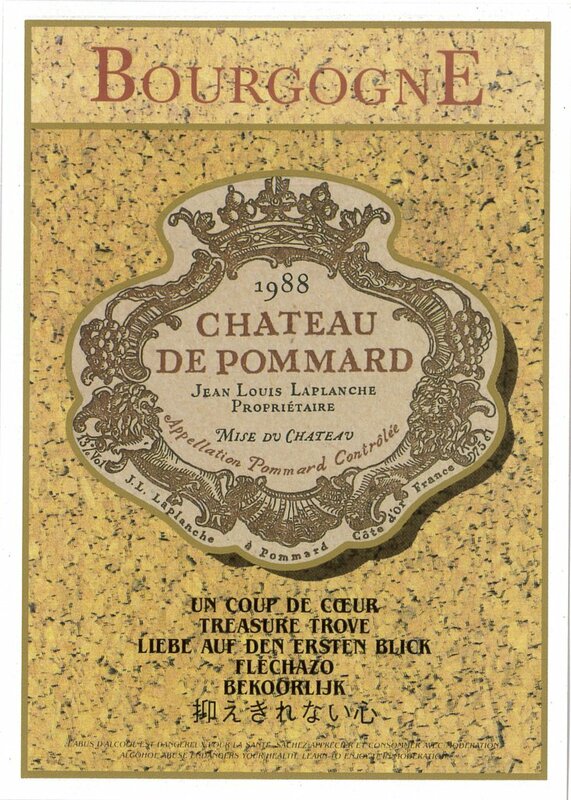 For the first time in its near 300-year history, in 1936, the vineyard and winemaking facilities were described on purchase receipts between Emmanuel de Blic and Louis Laplanche as, finally, “Château de Pommard”. The name stuck, and we’ve been happy with it ever since. 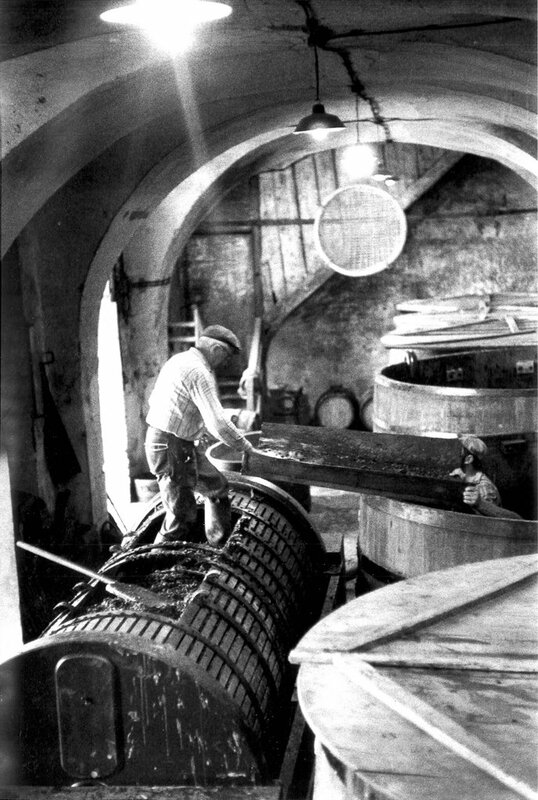 Emmanuel de Blic sold Louis Laplanche all of the winemaking buildings, including all 14 fermentation wooden foudres, or vats, which now adorn and decorate our cobbled Courtyard of Honor, 50 harvest boxes, four portable sprayers and everything in the cellar and wine storage rooms. Everything was for sale, except for the furniture, which was retained by the de Blic family, and now resides at Phillipe de Blic’s Échalot Château. 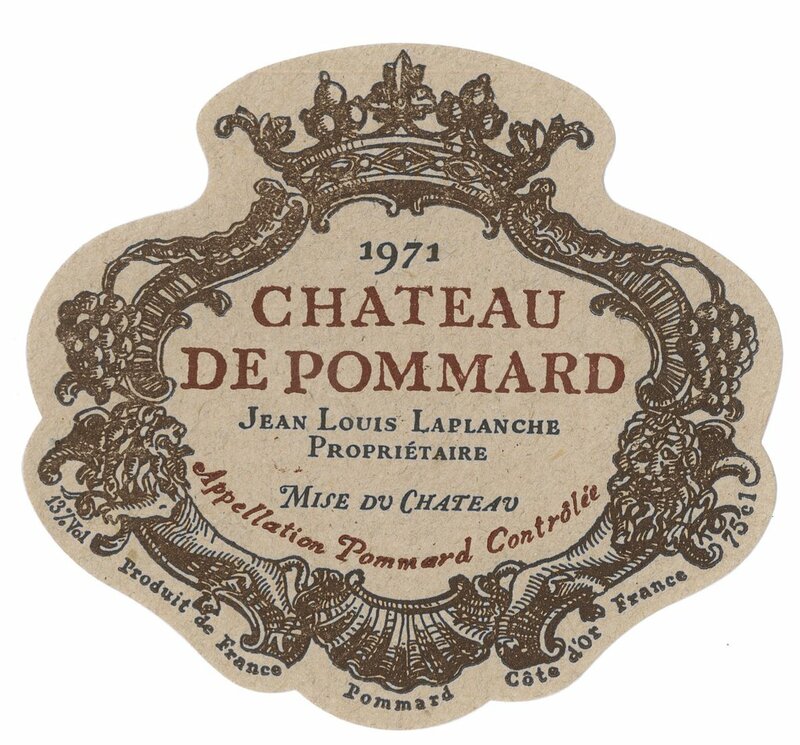 Between 1936 and 1944, Louis Laplanche and Albertine continued to expand the assets of Château de Pommard. 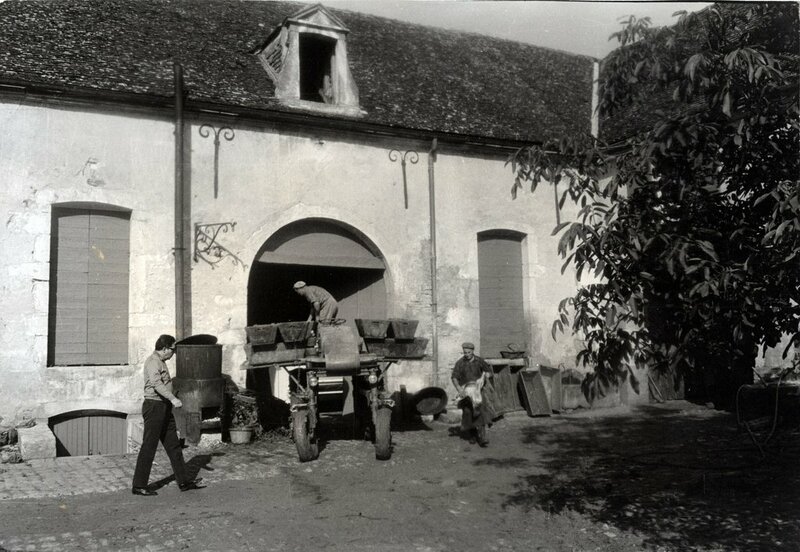 When the couple first purchased the winery (excluding Château Micault), Louis’ youngest son, Jean, was only 12 years old. 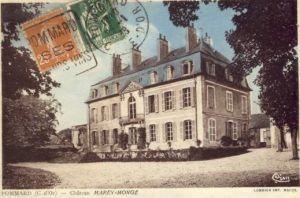 For Jean, Château Marey Monge was his childhood home. 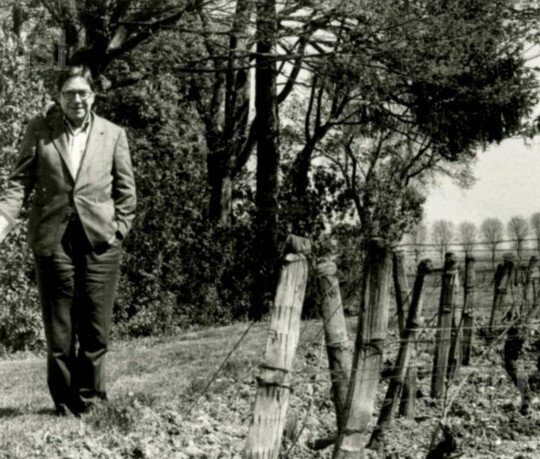 Summers were spent playing with his older brother, Georges-Louis, hiding among the vines of Clos Marey-Monge, though the vineyard was known as Clos de la 18 Hectares then. Within 15 years, Jean would grow up to become one of the most original and philosophically informed psychoanalytic theorists of his day, acclaimed for translating the definitive French edition of the works of Sigmund Freud (which he completed in Château Marey-Monge); a “faithful unfaithfulness” to Freud as he liked to put it. In 1961, Jean published his first book, entitled Hölderlin et la Question du Père and the revered The Language of Psychoanalysis, published in 1967. For the next four decades, Jean wrote and produced a new title and, in time, Jean would go on to become a student, and friend, of world-famous psychoanalyst Jacques Lacan, as well as increasingly visionary psychoanalyst himself. Since 2010, the English translation of Jean’s complete works has begun. 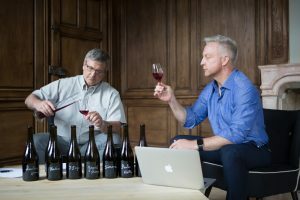 In 1944, eight years after Pommard became one of the first villages to be designated AOC for Pinot Noir ; Jean and his brother Georges-Louis divided their inheritance of the winery and the vineyard ; following the death of their father, Louis. At the time, Jean was a student of Philosophy at the École Normale Supérieure, Paris ; he worked as an intern in psychiatric hospitals across the capital. 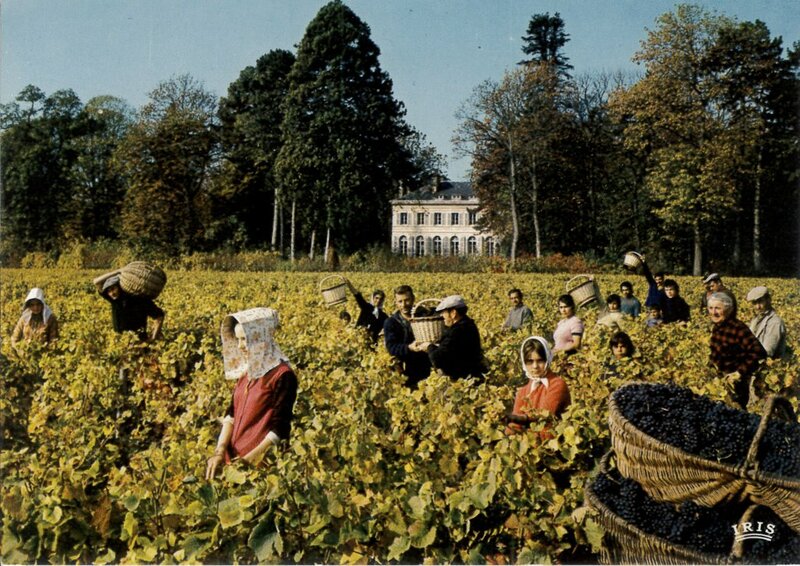 But for all of Jean’s wanderlust inside the minds of others ; and his time spent teaching at universities of Paris, Harvard and the Sorbonne ; the young Jean would always yearn to return home to Pommard at harvest time to make wine with his brother and mother. As much as Jean desired to be an psychonanalyst of international repute ; he could not shrug off the years spent as his father’s assistant winemaker in their vineyard. Pommard was is his home; it defined him. In 1950, Jean married Nadine Guillot, the love of his life, at a ceremony in Pommard. He was 26 years old. Nadine, a drawing teacher, was aged 25. 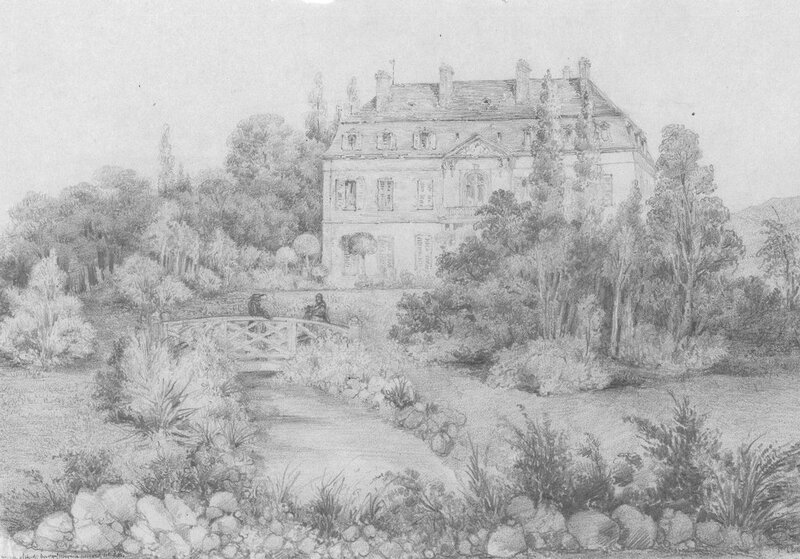 Many of the paintings, sketches and drawings Nadine would create during her time living in Château de Pommard remain safely locked away on the premises. Throughout the 1960s, in between writing books, Jean would stroll through the vineyard, pondering his thoughts and pruning his vines. Clos Marey-Monge is perhaps the only place in the world where such important thoughts on the psychoanalytical condition of the human species were born ; in tandem with world-class Pinot Noir grapes. “We are very sentimental about this place. It is our child,” Jean wrote highlighting the impact the winery had on his life, after he and his wife, Nadine, never had children themselves. Nadine and Jean’s passion for their property, and the Clos, took inspiration from their Pommardian predecessors ; the Micault and Marey-Monge families. Like Nicolas-Joseph Marey-Monge before him, Jean felt a phenomenal attraction to the vineyard ; he sought to reunite the Marey-Monge Château with its elder sibling, Château Micault. In 1965, Jean’s lifelong desire came true. He reunited the two châteaux of Pommard with the vineyard for the first time since the French Revolution. 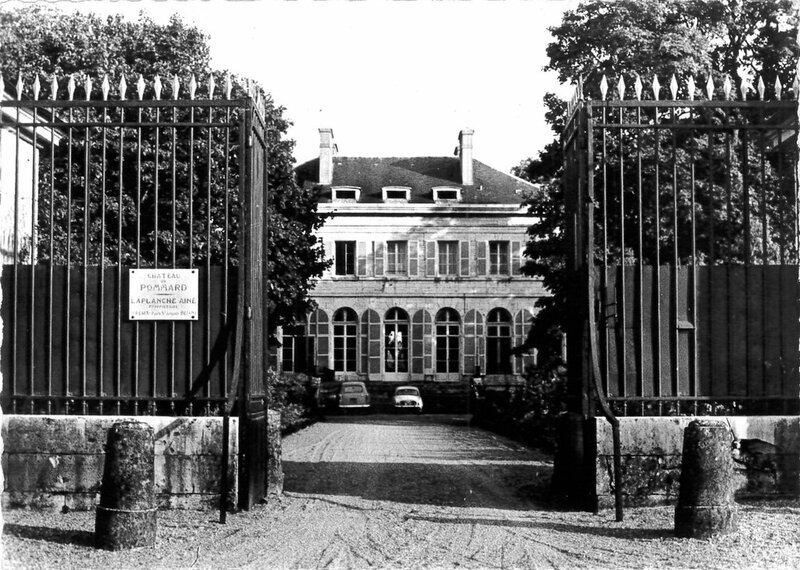 The opportunity arose for Jean to purchase Château Micault (then called Château d’Epinay) from the sons of George d’Epinay, who had bought the property from Emmanuel de Blic in 1926. At huge personal expense, Jean and Nadine then acquired the other half of Château Marey-Monge from Georges-Louis. The estate was complete; Jean and Nadine had accomplished what Nicolas-Joseph and Émilie Marey-Monge were unable to do in their lifetime. 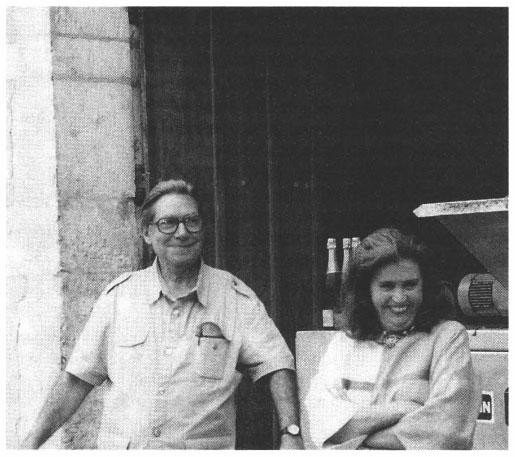 With the assistance of six vintners, Jean and Nadine supervised the wine production from the mid-1960s until 2003. 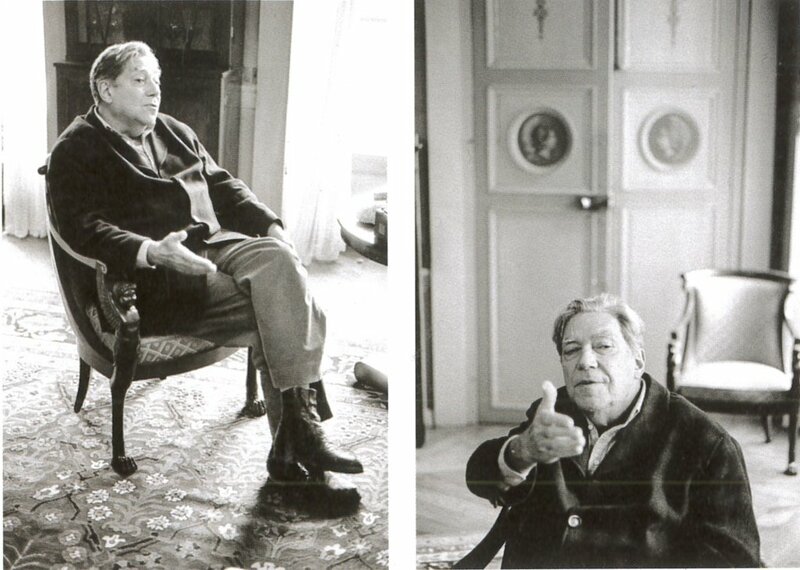 During their tenure presiding and preserving Clos Marey-Monge, Jean oversaw many major changes. In 1968, two years after Jean and Nadine purchased Château Micault ; the pair discarded the 19th century, English-style garden that had been planted in front of Château Micault. It allowed space for vines to be planted, in what is now the Chantrerie plot. Other instrumental changes took place at Jean and Nadine’s instruction. 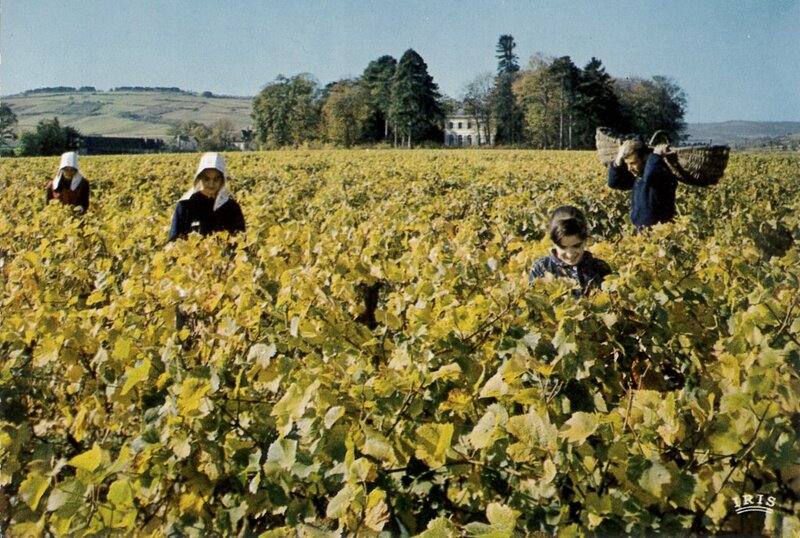 From 1942 to 1986, four of Clos Marey-Monge’s plots were replanted personally with new Pinot Noir rootstocks by Jean Laplanche ; Paules Vielles in 1942, 75 Rangs in 1962, Grand Champs in 1982 and (some of) Simone in 1986. Jean Laplanche: Jean in the Chantrerie plot, planted 18 years before Jean was born (1906)! 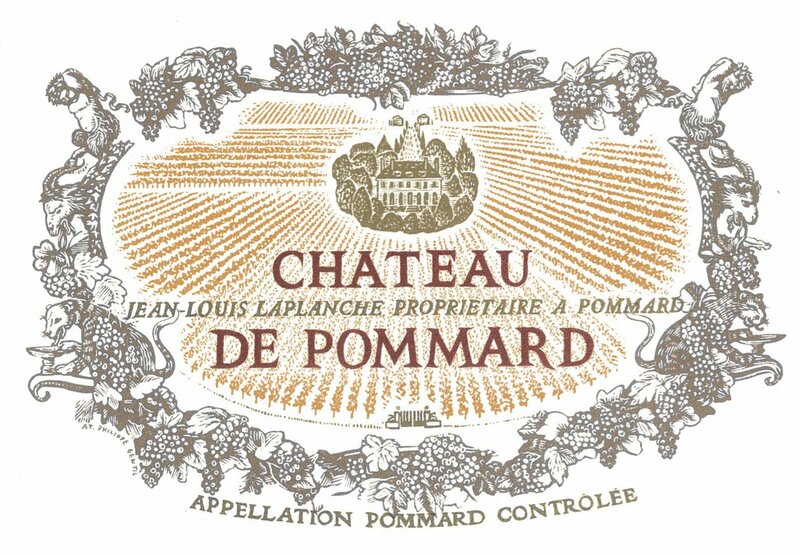 In 2003, Jean and Nadine sold the totality of Château de Pommard to the Giraud Family, from Haute-Savoie. The deal included an agreement that the Laplanches would be allowed to live in Château Marey-Monge and continue to participate in the winemaking process. “We have just signed with someone of heart, in love with this area,” Jean reported in 2003. “I will continue to ensure vinification for a few years and withdraw from everything that is administrative. We will stay in one of the castles while he occupies the second. This will be a friendly and fruitful cohabitation. I met a man who does not lack enthusiasm, an entrepreneur who has shown his abilities as a businessman. With him, I have no doubt, the Château de Pommard will become one of the very first flagship of Burgundy wine, “said Jean, about Maurice Giraud, patriarch of the Giraud family. As so, in 2003, another page of Château de Pommard’s history was gently turned over. The next chapter was to begin. 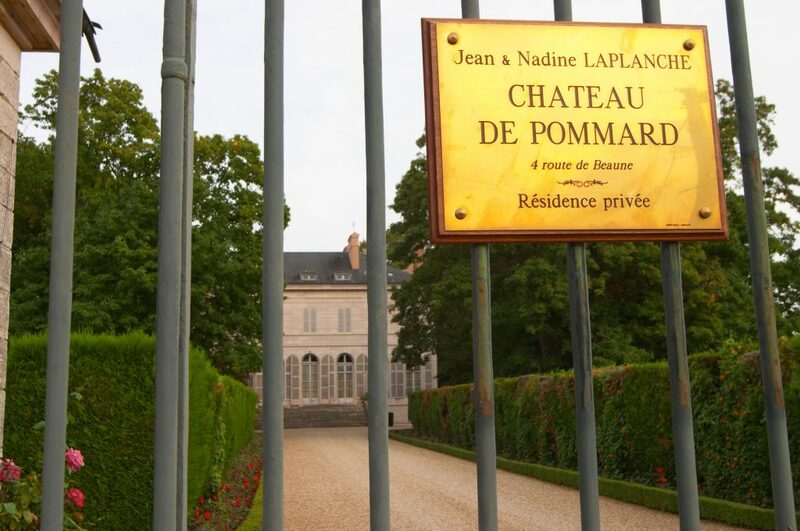 In spring 2010, at aged 85, Nadine passed away, leaving Jean alone at home in Pommard. Despite his loss, Jean continued working in the vineyard right up until his passing a few days before his 88th birthday.